I just realized that I didn't show you an art journal page published in Scrap n'Art magazine in January ! I mixed a lot of products in this page... 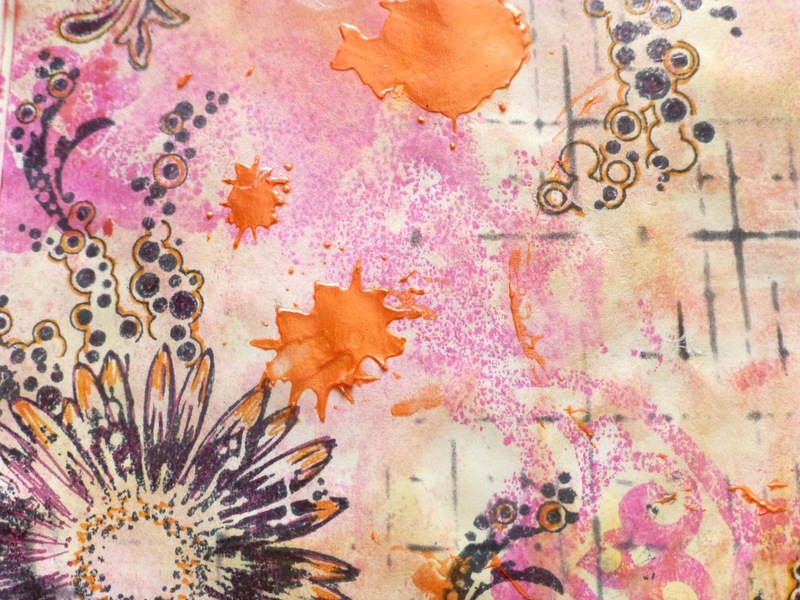 I started with Party Pink glimmer mist (Tattered Angels) and Marmelade distress inks (Ranger). Then I applied Black Soot distress ink (Ranger) over the mini grid sketch stencil (TCW), and stamped with Black Tuxedo ink (Memento) some text circles (Hero Arts) and flowers (Inkadinkado). I also stamped a honeycomb pattern (Prima Marketing) with white gesso (Liquitex). 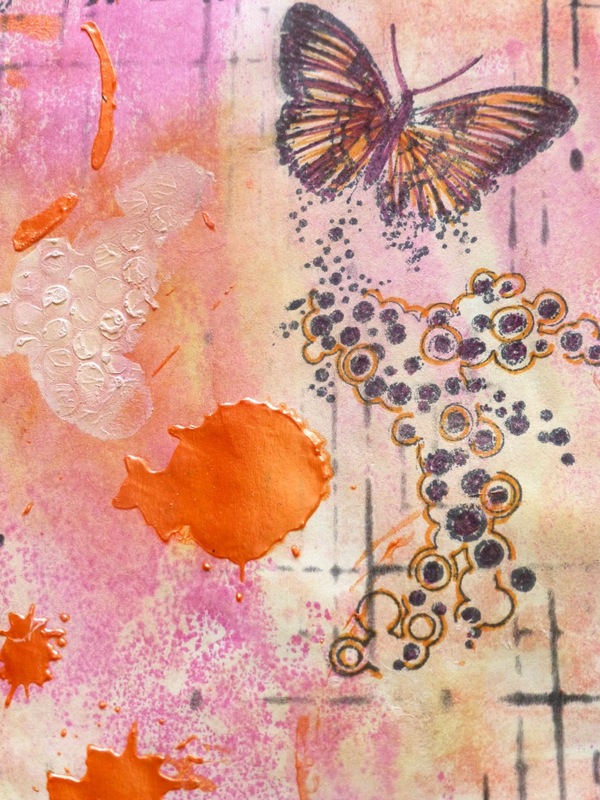 I colored the flowers, butterflies and bubbles with magenta and sanguine Artist pens (Faber-Castell). And the final touch : Dreamsicle Dazzerl texture paste (Shimmerz Paints) over coffee splotch stencil (TCW). The pink design you can see in the picture above came from leftover ink on a mask (Prima Marketing) I just applied randomly on the pages. 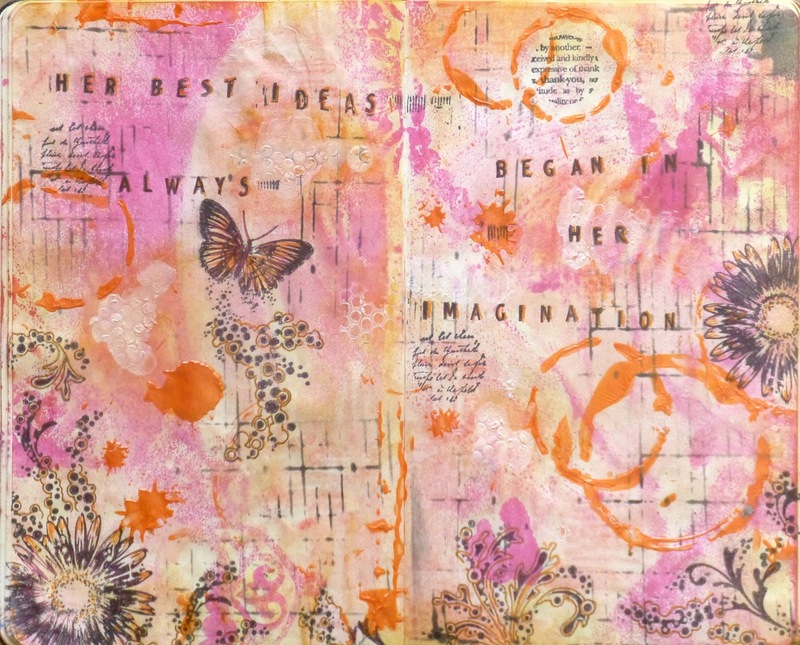 I think art journaling is all about having fun creating, and I surely did there !